What Should You Consider to Use Electric Pressure Washer for Cars? Using an electric pressure washer for your car wash is a good idea. Who doesn’t know that a clean car is a happy place to sit in? A clean car makes the passenger and the driver happy as well. They feel comfortable when they are traveling by a clean car. No doubt, a clean car looks amazing! Looks nice! However, there is a problem. When you think of washing, drying, waxing, washing the interior and exterior, it likely makes you thought that it is wastage of a whole day. It is really a tedious job that keeps you on a very busy schedule. It is not a job of 10 minute-projects. Just this thought leads people to abandon their cars to clean. So, what is the solution? For the car enthusiasts, it is never a tough or lengthy job as they have a passion for it. Okay, whoever you are, car lover or someone else, instead of a weekly wash, you can make a monthly wash off your car. But is it enough intervals to keep your car in a clean and gorgeous look? The job might be unbelievably easy. Just look for the best electric pressure washer to wash and clean your car. As well as choosing a right power washer, it is necessary to consider some important factors to use the pressure cleaning machine for your car. Is Electric Pressure Washer Safe for Your Cars? Many people think that using a powerful water force of a pressure cleaner can cause any damage the paint on the vehicles. They get afraid to get their vehicles washed. They think that pressure machine should never be used for cars. They are not wrong at all. You can damage your car just due to your carelessness. Your car is decorated with glass-made windows and delicate paintwork that cannot endure much pressure. So, go with an electrically powered unit that will work better for your car cleaning. However, you must be careful of using a pressure washer machine. What is necessary for your car is to find the perfect type of electric pressure washer that suits your needs. At the same time, you need to make sure that you avoid the dangerous paint zone. What PSI and GPM Level is Safe for Your Cars? The PSI refers to the amount of pressure of water stream. Most of the damage happens when you use a pressure range of nearly 2500 or more PSI. So, you should bear in mind this 2500 PSI as an indicator to prevent damage. Another way to protect your car from damage is the proper application of your machine. A straight direction of your nozzle and a close range of the water flow are enough to cause damage to your car. The types of pressure washer are not a matter of concern. The PSI level is also not a concern. The concern is to abide by the recommendation. Never point your nozzle straight to the car. Also, maintain a minimum distance between the car surface and the nozzle. Strat water flows from 24 inches apart from the car and gradually takes it closer but don’t take it closer less than 12 inches. Most of the electric pressure washer users claim that the pressure washers from 1300 PSI to 2200 PSI do not result in any damage. And the water flow rate of 1.5 gallons per minute (GPM) is optimal for your car washing. 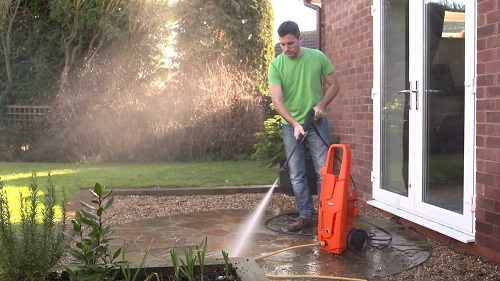 Alternatively, you can start your pressure washer with a fan spray setting. This is the best recommendation. It prevents the pinpoint extreme water spray for the toughest location to wash, for example, tire or undercarriage. Things seem to be troublesome? Well. There is a good option for you. 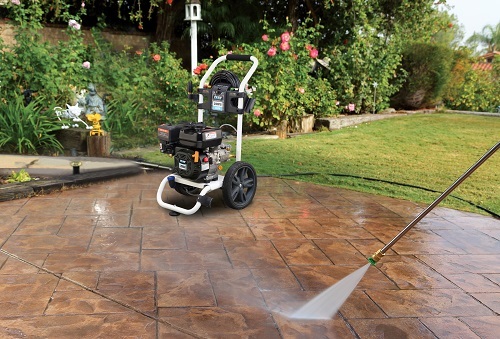 There are some electric pressure washer models available in the market. These machines especially come with a safe PSI limit for vehicles. There is another consideration you should take in mind. This is the right GPM. The GPM refers to the amount of water that flows with it. Many professional users share their experience that a higher GPM of a lower PSI pressure washer works much better than a lower GPM of a higher PSI power cleaner. However, if your pressure washer is with lower GPM, you can finish your washing with less water. It is a demand for many users to save wastage of water. But remember that you clean your car well without any damage. What Other Features Do You Need to Consider for Your Car Washing? In the meantime, you have had a good knowledge of useful considerations using an electric pressure washer for your car. Now, it is time to consider the existing features of the pressure washer to clean your car with efficiency and without making any damage. For your better understanding, suppose, ask yourself, do you need both detergent and water mixed together so that it can flow from the machine? Is your answer yes? Well. 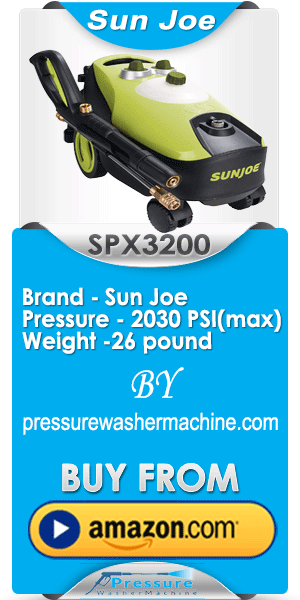 You should find out such pressure washer model with an onboard detergent tank. Also, if you own a pressure washer with lower PSI, say, 1500 PSI, you ought to look for a turbo blaster nozzle to wash the toughest areas. If you can recognize the accurate PSI for your car washing, you will have numerous alternatives to choose from. There are nozzles that provide water spray ranging from 0 degrees to 40 degrees. Just you should make sure that you use the right one. There are other features of the electric pressure washer too to consider when you are planning to wash your car. Consider that its storage is easy. Inspect that you have enough room to preserve the accessories. Make sure that you have enough cord and hose to move your machine here and there. Some pressure washers have a reel for the hose that saves space. But it might be a problem to roll out and carry on. In addition to these features, check carefully the spray settings and warranty card. As you want to wash your car that is parking outdoor, consider a lighter, compact, and easy to use a unit of the electric pressure washer.